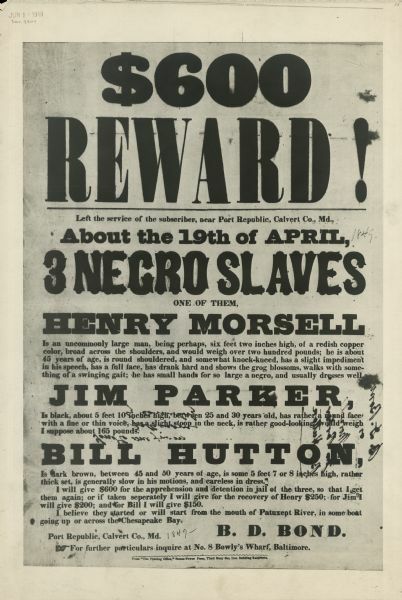 Poster offering $600 reward for the return of three runaway slaves in Calvert County, Maryland. The three slaves are Henry Morsell, Jim Parker, and Bill Hutton. This image is one of many images, held in various collections at WHS, that document social action in the United States.